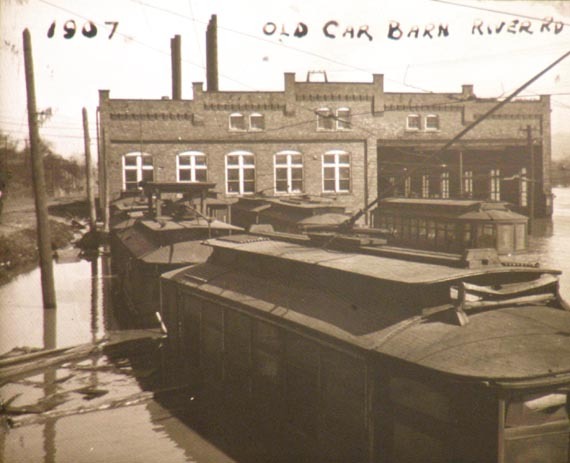 Y&O travelers off West 9th Street to Dresden Avenue were greeted by Travelers Hotel signs, advertised in the streetcar quarterly as the finest destination in East Liverpool. 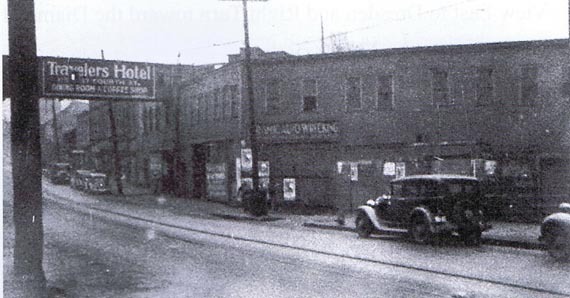 Located on 4th Street, the Travelers Hotel was a stop on the Y&O loop beyond the Diamond. In 2007 the Crockery City Cafe is operated by Ray Trevelline and Mrs. Vicki Lane. Filled with historic photos and hotel memorabilia, the owners have preserved a vital segment of East Liverpool's past. East Liverpool Historical Society. Since the above picture and text was published in 2007 in "Ghost Rails III Electrics" by Wayne A. Cole, p. 94, the Crockery City Cafe has closed. Vicki and her sister has opened a Cafe where the Oasis was located at the foot of St Clair, Lincoln and Broadway and the Travelers Hotel is shut down. However, the display mentioned here is still there (as of this date, Dec, 3, 2011). This picture and the following ten pictures are pictures taken of pictures and displays in the Travelers Hotel. 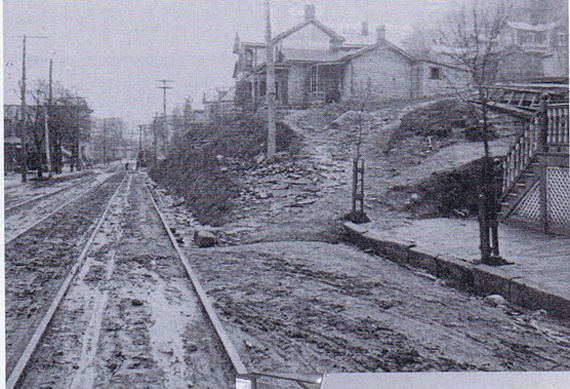 This line was approximately 7 miles long running from Boyce Street turnaround loop in the East End of East Liverpool as shown in the above picture to a similar turnaround loop in Wellsville. 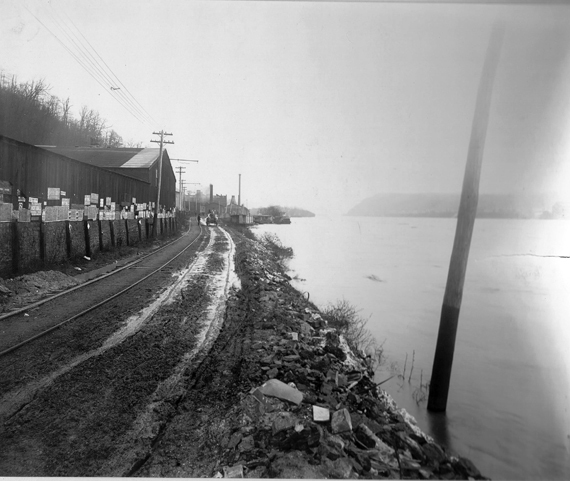 In East liverpool the line would run down Mulberry Street to Ohio Avenue then down the River road to 2nd Street and up Market Street into the downtown. (Picture from WHS. The verions here with the text from Hills and Kilns. 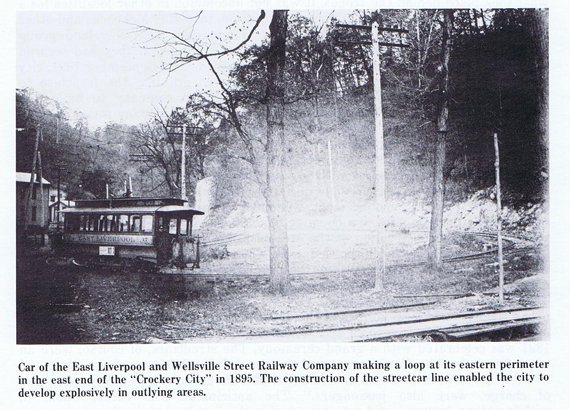 The information about Boyce street paraphrased from Ghost Rails III). 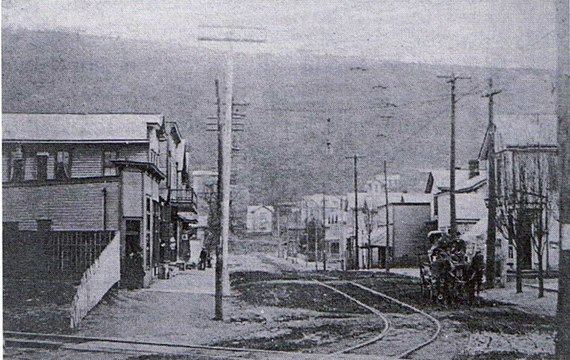 Tracks running from Boyce Street turnaround loop towards Mulberry Street. The south end of Mulberry Street. 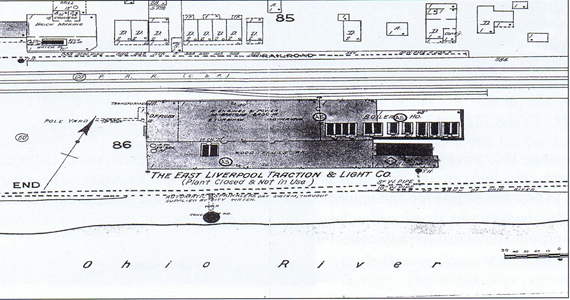 A Sanborn Fire Insurance map showing the Power Plant. The plant was no longer used after 1916. A very real problem was the constant potential for flooding as indicated here. River Road along the Thompson Pottery.